Submitted by Emily Brightwell on Tue, 2006-07-25 00:03. An artist's model never shows up at Neville Grant's house, or so he claims. 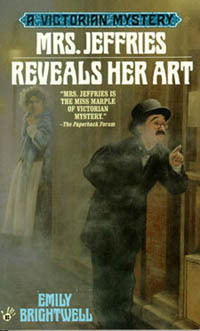 But when one of Mr. Grant's houseguests suddenly dies - the Inspector and Mrs. Jeffries have to work doubletime to find both the missing model and the killer!